«LTV is not just equipment and budget. LTV is, primarily, a team. In spite of budget shortage and technological gap, LTV was the most watched television channel in Latvia last year, and this is an accomplishment of the team,» said Priede. Priede also stresses that public media has no way of seeking defence without causing suspicion and receiving criticisms over third party interests. It should be said that on 2 April, at the end of LTV programme 1:1 its host Gundars Rēders loudly voiced his opinion about the changes in LTV’s board. In response, Giels said he will most definitely discuss this with the journalist once he has been approved in his new post. The new head of LTV said the journalist had breached ethic norms. «The moment people doubt the professionalism of LTV News Service, when not only professionals of other media but also LTV employees are oblivious of decisions made by the council and some employees openly voice plans to leave in response to the possible dismissal of Gundars Rēders, such things should be discussed openly,» says Priede. The question asked during an interview to Latvijas Radio about Giels’ cooperation with his new team that does not trust him, is very topical, considering his public statements have not helped quell doubts, says Priede. «It will be possible to work together if we trust one another and rely on common values and shared vision about the development of LTV,» says Priede. «It is clear the primary objective of the new board will be earning the trust of all teams. We can always discuss past mistakes. But now is the time to think about the future, where employees are the only guarantee and serve public interests,» says Priede. Giels said his first task will be internal audit within LTV to better understand optimize funding and invest more in technological development. Giels has no plans to step down. He believes he is fully prepared for his duties. During an interview to TV24 journalist Imanta Frederiks Ozols, Giels demonstrated he has no real grasp what his new job entails. Last week, Latvia’s National Electronic Mass Media Council decided to approve Einārs Giels, who is a marketing data analyst for Latvian pharmaceutical manufacturer Olainfarm, as the new chairman for LTV. The council also approved CEO of XXVI Latvian Song and XVI Dance Celebration Eva Juhņēviča as LTV board member for digital development and content affairs. Neither of them has any experience working in the media sector. 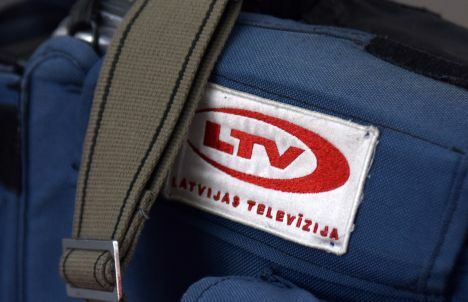 Latvian Journalists Association has asked National Electronic Mass Media Council to cancel the decision regarding the approval of new board members in LTV and organize a repeated personnel selection process. The association believes the board members picked by the council do not meet requirements of such high posts. «The chosen board chairman has no tangible management experience and the board member responsible for content development does not have any kind of experience working in media, which is something that was deemed as vitally important for potential applicants,» says the association.